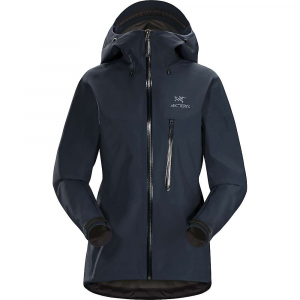 Superb alpine mountains and granite as far as you can see Grab the waterproof, breathable, Revelation Jacket, made with waterproof, breathable stretch GORE-TEX and abrasion-resistant face fabrics. 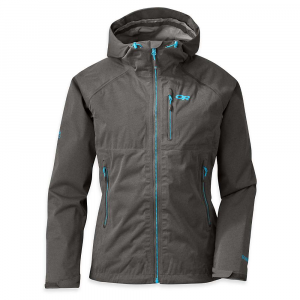 Tailored in a women-specific cut, technical features include a Halo Hood, pit zips, and high-set, harness-friendly hand and chest pockets. Most backcountry skiers get the revelation that skinning is seriously difficult during their first tour. 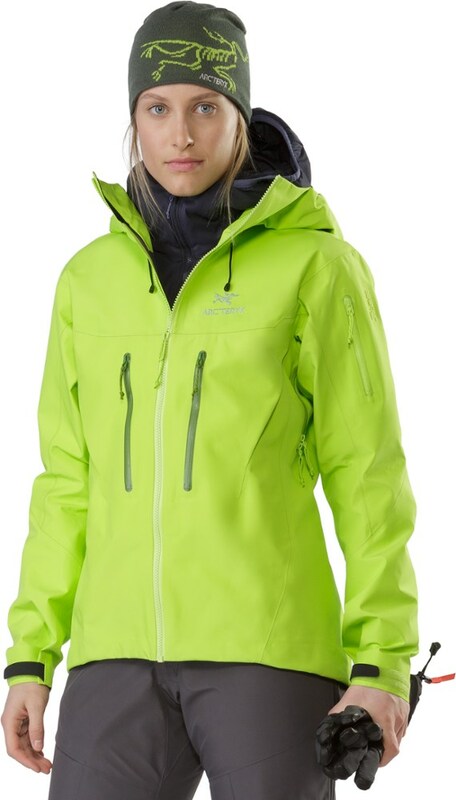 They also end up getting a ski shell like the Outdoor Research Women's Revelation GTX Jacket shortly thereafter. Not only does it offer Gore-Tex's waterproof protection you want when there isn't a lodge at the bottom of the hill to retreat to, but its three-layer construction is light and packable for better convenience on the skin track. 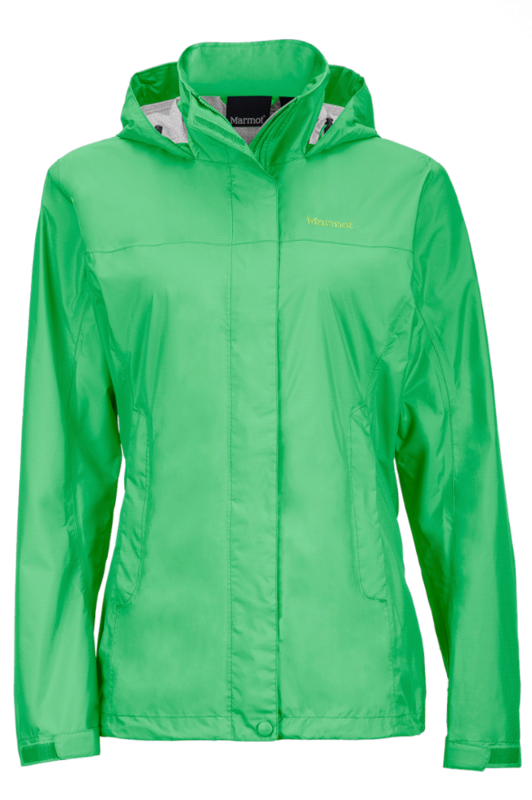 If it starts to snow on the track, you can pull this jacket out of its pack, zip it on, and unzip the underarm vents for much-needed airflow during the ascent. Unlike most ski jackets, the Revelation also features stretchy fabric to ensure freedom of movement whether you're using an axe on a steep ascent, or enjoying the steep descent. 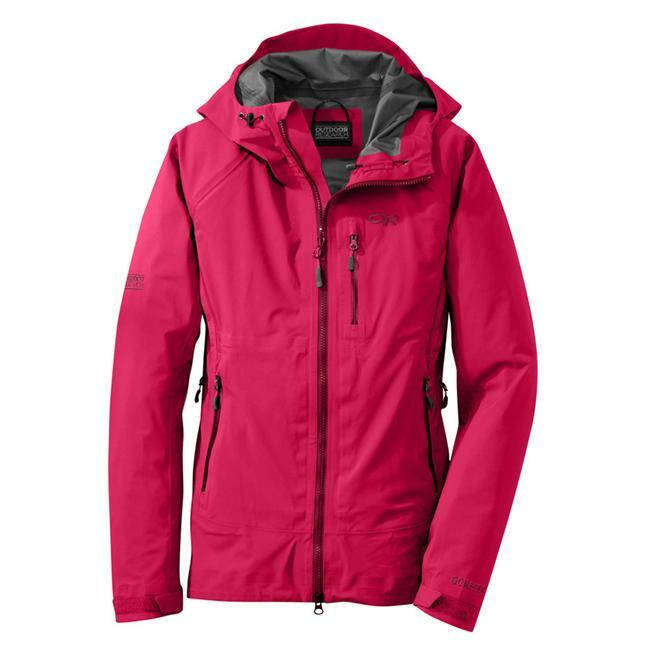 Featuring a laminated windproof, waterproof, breathable, abrasion-resistant shell made of GORE-TEX 3L, Outdoor Researchs Womens Revelation Jacket is perfect for high-activity adventures in the mountains. Articulated elbows and movement-mirroring stretch move with you to ensure complete mobility. Fully taped seams and YKK AquaGuard zippers for leak-free performance. Adjustable wire-brimmed halo hood fits over a helmet. Storage includes a key clip, zippered chest pocket and two zippered hand pockets that sit above a hip belt or harness. 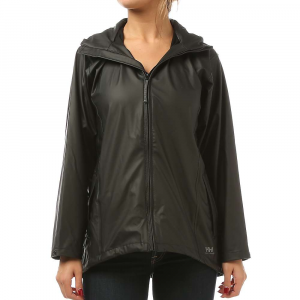 Two-way front zipper with internal storm flap. Hook-and-loop cuff closures. Pit zips. Integrated hood cord locks. Elastic drawcord hem. 94/6 nylon/spandex shell, 100% polyester-tricot lining. Regular fit. Imported. Center back length: 26.75. Sizes: XS-L. Colors: Black, Desert Sunrise. Size: X-Small. Color: Desert Sunrise. Gender: Female. Age Group: Adult. Material: Spandex. Type: Jackets. CLOSEOUTS . The Outdoor Research Revelation jacket harnesses the awesome power of Gore-Texand#174; to provide an unbreakable barrier against wind and water for the most heart-pumping alpine adventures. 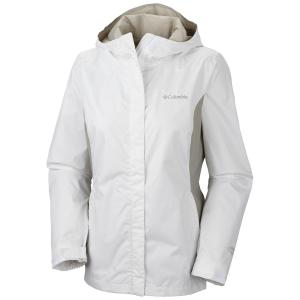 With harness-friendly pockets, extra-long underarm vents and halo hood closures, it will help you conquer the mountainand#39;s fickle moods. Available Colors: APPLE. Sizes: S, M, L, XS.